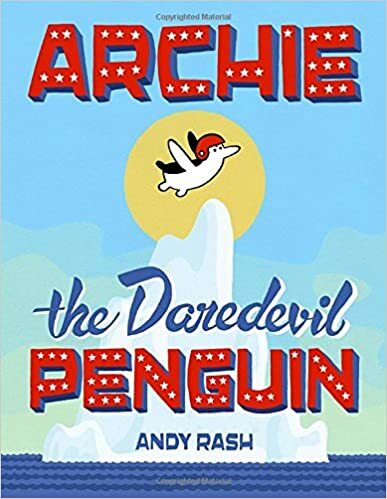 Archie is considered to be quite brave by the other penguins, but he's keeping a big secret: he is afraid of swimming. Archie invents many contraptions so he can fly instead of swim to the fish fry to which the penguins have invited him. His inventions don't work and one inadvertently causes him to face his fear of the "briny deep" waters. This picture book is written in a comic book style as the entire story is told through the illustrations and speech bubbles. The book is humorous and has an important message about overcoming fears. This book is written as a series of letters between two pen pals, George Slair and Blaise Dragomir. As they read their letters, they imagine each other, not realizing that one of them is a human and the other a dragon. 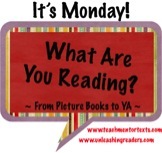 The misunderstandings between George and Blaise are humorous and the rhyming letters are fun. 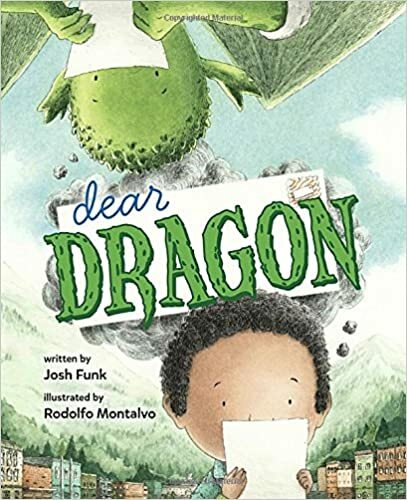 The author, Josh Funk will be skyping with the first graders at my school next month. I'm looking forward to sharing this book, and his others, with first grade teachers and students. The crew of the pirate ship, the Rusty Heap, are all fearsome and tough. They don't appreciate Ned, who likes to knit. 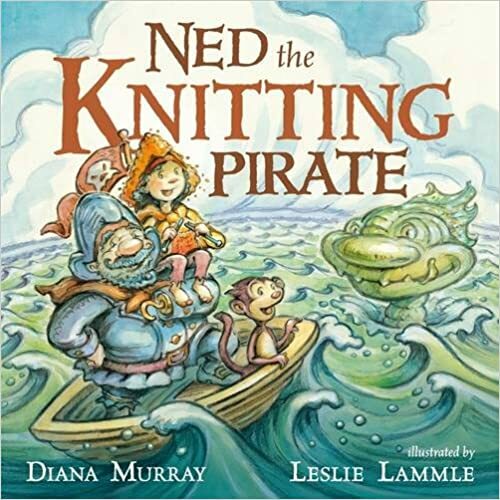 Ned's knitting comes in handy when an ocean beast threatens the pirates' ship, giving the message that being different is not such a bad thing. This rhyming tale is sure to be entertaining for young readers, especially those who love to read about pirates. This picture book reminds me of Henry and the Buccaneer Bunnies by Carolyn Crimi because of the similar plot. In Crimi's book, Henry is a pirate who is different because he enjoys reading and although the other pirates disapprove his reading saves them in the end. This is the first book in The Dino Files series, which is a series new to me. I am always looking for great books that will interest my second and third grade readers who want to read chapter books, but aren't quite ready for longer books that require sophisticated understanding. I think this series will be enjoyable and accessible for many readers at this age level. 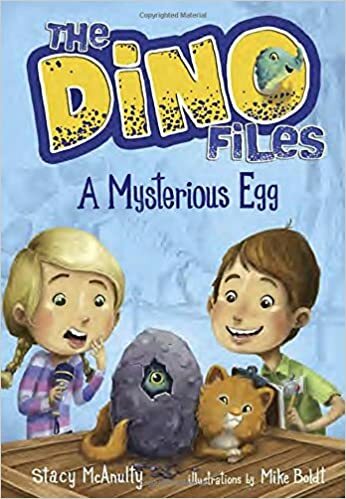 In this book, Franks' grandmother has found a fossil of a dinosaur egg. When the egg hatches, Frank and his cousin, Sam must work together to keep him safe. I will definitely add this and the others in the series to my library. Rabbit is excited to surprise his friend, Robot, with a visit, but is surprised to find that Robot already has a visitor. Rabbit quickly becomes jealous of Robot's friend, Ribbit. The characters are humorous and the plot is interesting in this transitional chapter book. I think both the story and illustrations will amuse my early elementary readers. 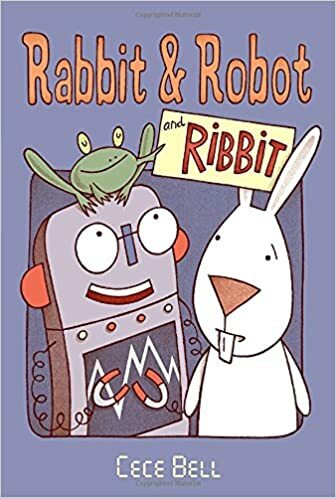 I just requested Rabbit and Robot and Ribbit from my library. I'm always on the lookout for a readable early chapter book. I'm always in need of more early chapter books, too. I have these books on my list, Lisa, and still haven't read any of them. They all sound good, and I'm especially excited about Dear Dragon. Thanks! I think kids will really like Dear Dragon, too. I think a knitting pirate will bring lots of laughs from my students. Lovely books this week, I've read most of them myself! Josh is a wonderful Skype author. He makes connections through the screen, enjoy! Rabbit and Robot is a fun read. I haven't read all the rest, but the ones I did read I enjoyed. Cece Bell is just great! Ned the Knitting Pirate looks like a lot of fun. I've ordered it from my library, and can't wait to read it. Have a great week! My students always love pirate stories! I am really looking forward to reading another Cece Bell novel - loved her El Deafo.